There’s nothing worse than going out to the garage on a Saturday morning, ready to ride, and trying to start your bike, only to hear the disparaging sound of an engine that wont turn over. Day ruined, might as well mow the lawn. What gives any battery its power is a constant chemical reaction going on inside of it. Your battery is recharged when additional energy is provided to this chemical reaction (such as electricity flowing from a charger,) and it is depleted when energy from this reaction is directed towards powering the various components of your bike. Because this reaction is constantly occurring, some of the potential energy produced is lost when the battery is not in use. This is called “self-discharge,” and it is the reason why all batteries will eventually lose their charge. If not properly maintained, your battery can even self-discharge too deeply, which may cause damage, or limit the battery’s capacity. TIP: Be mindful of how you store your battery when your bike is not in use. The rate of self-discharge usually accelerates in temperatures above 77 degrees Fahrenheit. 2. Motorcycle Batteries Do Work, Even When You’re Not Riding. In addition to the natural tendency to self-discharge, there are other things that draw power from your battery when you’re not riding. Electrical components on your bike such as the clock, GPS, or anti-theft systems sap small but continuous amounts of energy from the battery even when the bike is turned off. We call these energy stealers “parasitic loads,” and they can accelerate battery discharge, especially during longer periods of rest between start-ups. TIP: For longer periods of rest, such as when trailering your bike or during the off-season, you can turn your bike to “transport mode” to reduce the effects of parasitic loads. It also helps to remove the battery completely between riding seasons, and store it in a temperature-controlled environment. 3. Shorter, Low-RPM Trips Do Not Fully Charge Your Battery. Contrary to popular belief, simply running your bike will not always sufficiently re-charge your battery. This is because when it is idling, or even during shorter low-RPM rides, your bike engine is not sending enough energy to the battery. If your bike does not re-charge enough while riding, it can self-discharge too deeply, leaving you with a dead battery, and the disappointing silence of a still motor. TIP: If your bike is sitting for periods of time, or if you only ride it around town, consider keeping it connected to a charger or battery-tending device while it is parked. 4. A Full Battery is A Happy Battery. Truly the best way to prevent pre-mature battery death is by keeping is connected to a charger between uses. Not all chargers, however, were created equal. You may not be surprised to learn that we prefer Harley-Davidson battery tenders, simply because they are built to the exact specifications to optimize your Harley-Davidson battery. More specifically, H-D battery tenders have smart circuitry that not only delivers the appropriate amplitude for efficient charging, but automatically switches modes to prevent over-charging, which can cause permanent damage to your battery. TIP: There are several different Harley-Davidson battery tenders available that range in price and capacity. All of which are designed specifically for the longevity of your H-D battery. Many new Harley models even come stock with a harness installed, ready to plug into a charger without any additional hardware. 5. Give Your Bike the Battery It Needs. Just as all chargers were not created equally, neither were all batteries. When it comes time to replace your motorcycle’s battery, (usually around the 5-year mark, depending on use and storage conditions,) you need the right tool for the job. The newest H-D models come equipped with an AGM battery, short for “Advanced Glass Mat,” which means that these batteries have glass mats between the positive and negative plates to absorb electrolyte, making them essentially leak-proof even if the case is punctured. In addition to their advanced design, H-D batteries are designed and tested against strict standards, specifically developed for performance and durability in Harley-Davidson motorcycles. TIP: Put simply, a genuine Harley-Davidson battery will simply work better – and for a longer period of time – than your run of the mill, off-the-shelf models. 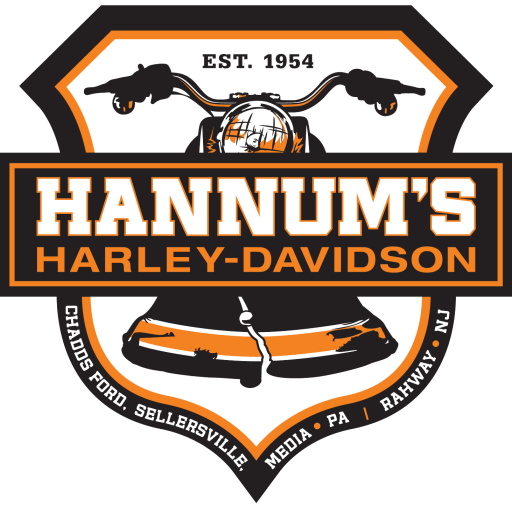 There you have it, you are now a Hannum’s certified battery wizard, ride forth with confidence! Still have questions? Feel free to contact us, or visit any of our 4 stores. Our parts & accessories experts will be happy to help. Why not tell folks to disconnect the ground cable when not using a battery for extended periods ? That’s a good addition, thanks Michael!